very bad phone. No one could hear me well on this phone. Screen resolution is also bad.. gives a bluish tinge. They have stopped production now but I say dont buy the higher version too. I m thoroughly disgusted with this phone. can u tell me how to save new contacts in karbonn a111 as there is no option showing for saving new contact in either sim. all contacts r saved in phone memory directly nd shows phone memory only, unsynchronised contacts. can u help me to get rid of this problem. sim 1 slot already 3G. but why the speed give us so slow.? I'm using also airtel 3G or Idea 3G net. so plz tell me better situation. Satis Shridhar Chava, 22 May 2013I have Purchased A111 In Last Month. Device is OK.5 Mega Camera have greater Resolution. I m Q... morecan u tell me how to save contacts in sim 1or 2 coz while saving contacts there is no such option showing for sim 1 or 2. contacts r saving directly in phone memory. Firstly the voice quality of the phone will deteriorate and you will have a lot of trouble speaking to people on the phone. The contacts will disappear and you will have to save it all over again.. and again and again.. better go for other Karbonn versions like A21 which has a smaller screen but far far better than A111 i terms of the touch sensor and screen resolution. I have both the phones so you can take my word for it. Mobile is good but video quality is very bad. I m using this phone and its performance is good but in few aspects it's not working properly. can anybody tell me how can I save new contact in a particular sim becoz contacts r getting saved directly in phone memory. no contact saving options r shown. 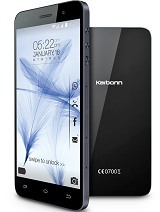 Total of 111 user reviews and opinions for Karbonn A111.